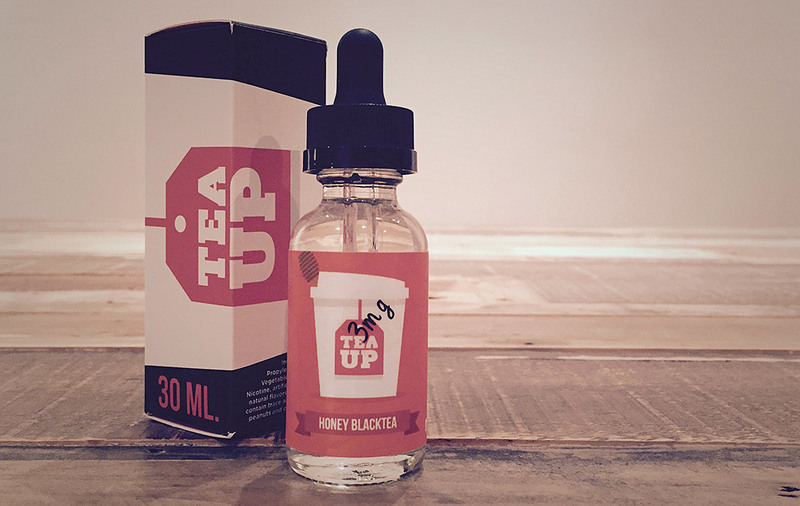 Been Craving for a Black Tea vape? Here it is! Honey Black Tea has the perfect pairing of a natural honey taste with authentic black tea. Your unsweetened all day vape. We saved the best for last, or did we? Really all 3 of TeaUp’s flavour profiles are pretty stellar. Honey Black Tea has to be the most sophisticated of the lot though for sure. It’s an extraordinarily authentic flavour, the Black Tea is very present and has a very Floral quality to it. This is a great vape for days when you want something a little more grown up and less about some sort of candy recreation that is so popular these days. The balance and flavours make it a versatile choice for if you don’t want your vape to over power other flavours you maybe experiencing through food and/or drink. We love it when we find more complex and original profiles and Honey Black Tea is one we will keep around for awhile. Order some or try it, just don’t make it compete with other juices, make it the first or last one you try that day. This juice is in a category of it’s own. Best on: Any Atty, but Drip it. All Day Vape: A sophisticated All Day Vape.